It may not have been long ago, but it feels like forever since their last release, Psychic Warfare. It was short and sharp, our reviewer back then on release didn’t find himself much of a fan. Sometimes it is hard being a reviewer, but we all have to be honest with ourselves and everyone else when it comes to us giving our personal opinions on what we are listening to, no matter how unpopular it could be, some valid points were made though. I myself however, loved it, and still do! Instantly you get the feel of something different, they haven’t taken a slight tangent on the road after Psychic Warfare, but more created their own road completely. The approach is at first a little unusual and I found somewhat a challenge to get into, but the further you progress the more you find yourself tuning into the Clutch vibe on this one. The development and general sound on this album isn’t off, it just needs a fresh look that needs to be appreciated without jade coloured glasses, only then will you truly be deserving and appreciative of the creativity, this is still without a doubt, Clutch. ‘Gimme the Keys’ has the pleasure of opening up this can of worms, Fallons vocals naturally taking the first chance to throw its powerful punches, but for me, it’s all about the filthy sounding bass. ‘Spirit of ‘76’ sounds thick with the swagger of exactly what the song is titled, and talking of titles, ‘Book of Bad Decisions’ proves it is anything but as it follows that level of swagger with Tim Sult carrying the torch. Momentary glimpses of the Clutch of recent days gone by coming through with ‘How to Shake Hands’, by this point, the musical nut In me is picking up on different sounding touches on the songs, it adds a thin layer of panache, but if you want more panache, then ‘In Walks Barbarella’ brings it like an atom bomb with its funk filled horn sections. Yes, there are horns! From here on out after a few listens, you’ll be sold, from the rocking ‘Vision Quest’ to the hot rod cruising ‘Weird Times’ to the southern tainted ‘Hot Bottom Feeder’, and the haunting ‘Lorelei’. Several things stick out on this album, firstly this is still most definitely Clutch, albeit it different. Secondly, vintage, everything sounds so vintage, from the gear used, the writing, all the way to the live studio recording. The addition of Vance Powell as a producer has quite clearly been a magnificent choice, thirdly, the fact that 15 songs made it to the album says plenty, how much more could it have been? There is not quantity of quality moments either, they are all worthy of their place on record. 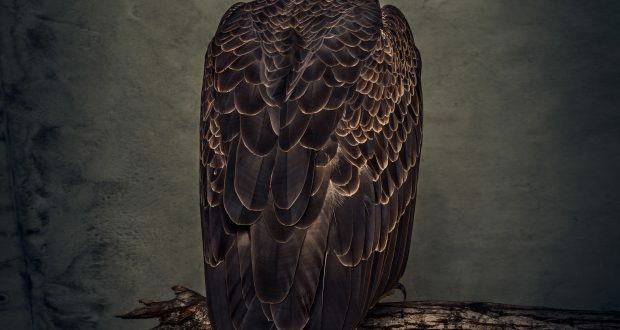 Clearly Clutch and Vance working together have not as much sparked a small fire, but created an entire forest sized fire of creativity, if only other bands could produce albums as great as this 25 years after their debut release, Book of Bad Decisions, this is not. Clutch and Book of Bad Decisions is due for release September 7th through their own label, Weathermarker. Summary : Clearly Clutch and Vance working together have not as much sparked a small fire, but created an entire forest sized fire of creativity, if only other bands could produce albums as great as this 25 years after their debut release, Book of Bad Decisions, this is not.